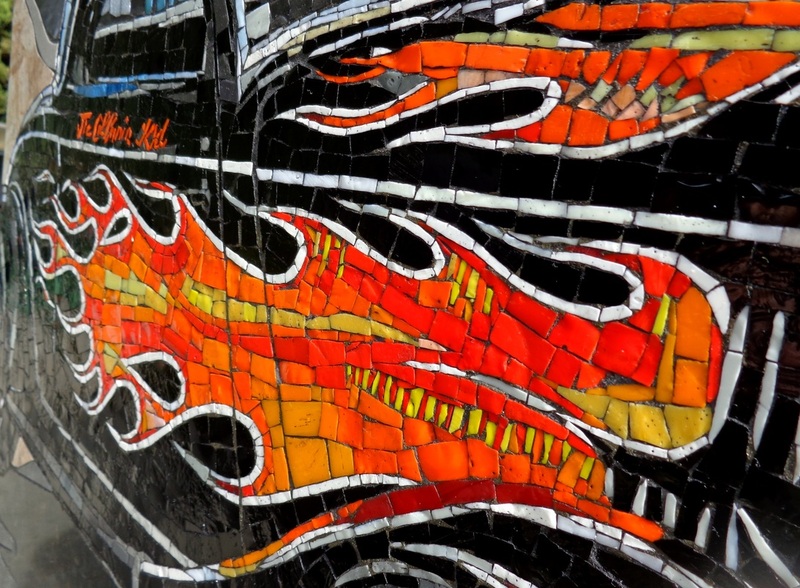 Location: Northeast of Las Tunas & Rosemead Blvd. 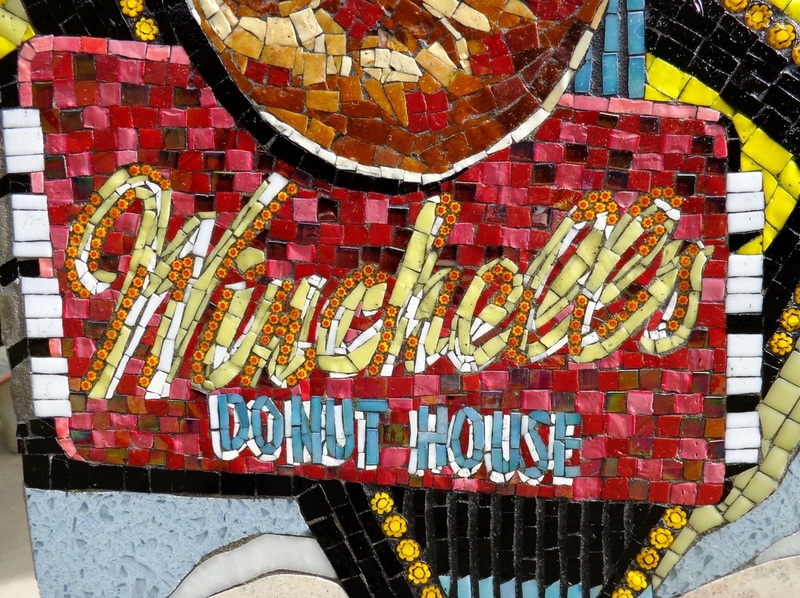 This design commemorates the first Winchell's Donut House and Pete & Jake's Hot Rod Parts, which were both established in Temple City on Las Tunas Drive in 1948 and 1974 respectively. 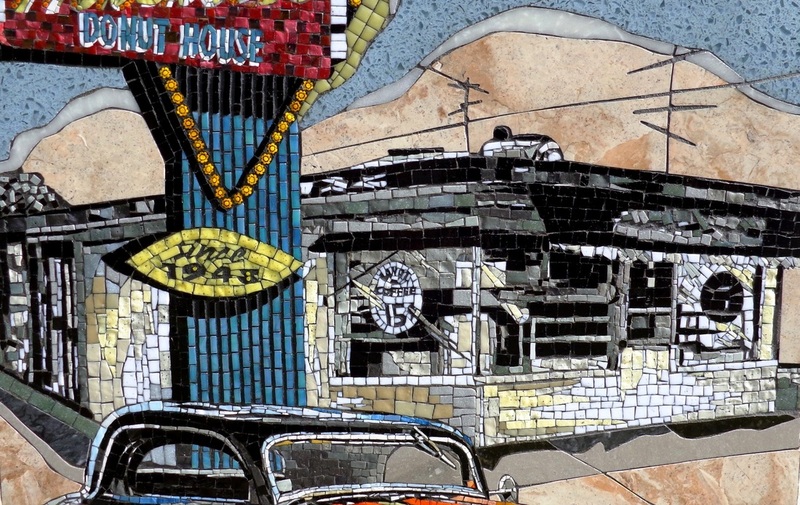 Although these two businesses have since relocated, the completed mosaic directory monument will be installed northeast of the Las Tunas Drive and Rosemead Boulevard intersection to connote the entrepreneurial legacies they left behind. 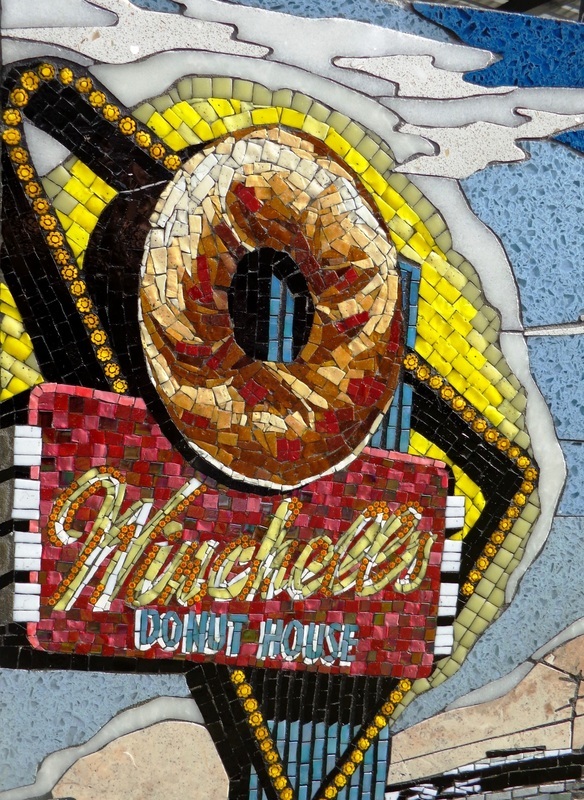 Winchell’s Donuts originated in Temple City, opening October 8th 1948. This international doughnut company was founded by Verne Winchell, who earned the nickname “The Donut King” and made millions of dollars from his business, now also known as Yum Yum Donuts. 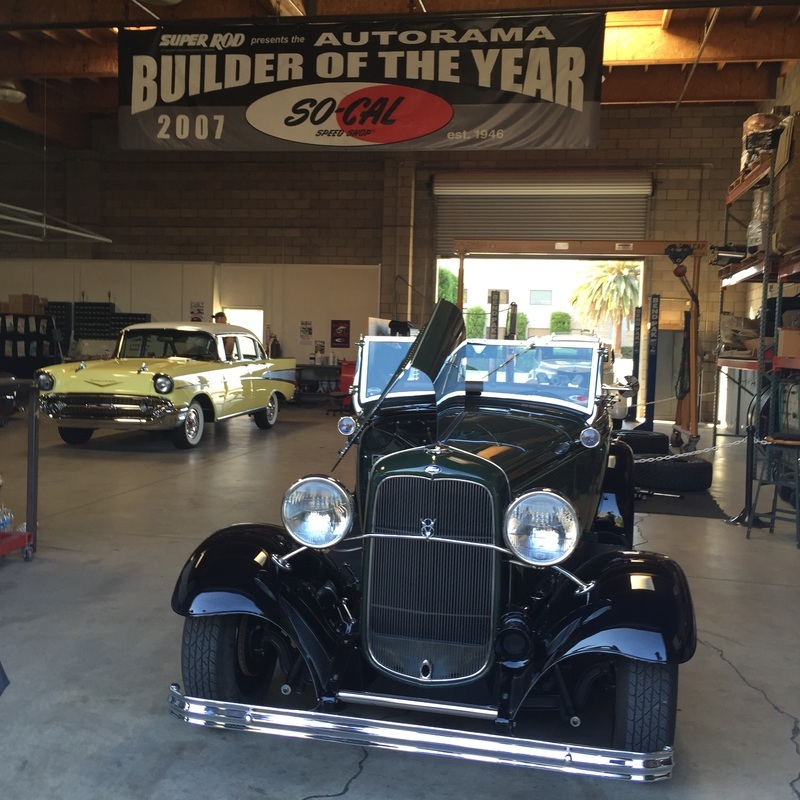 We will also remember the rod repair business that started in Temple City: “Pete & Jake’s Hot Rod Repair” noted for custom cars. They later began to receive calls from Hollywood. 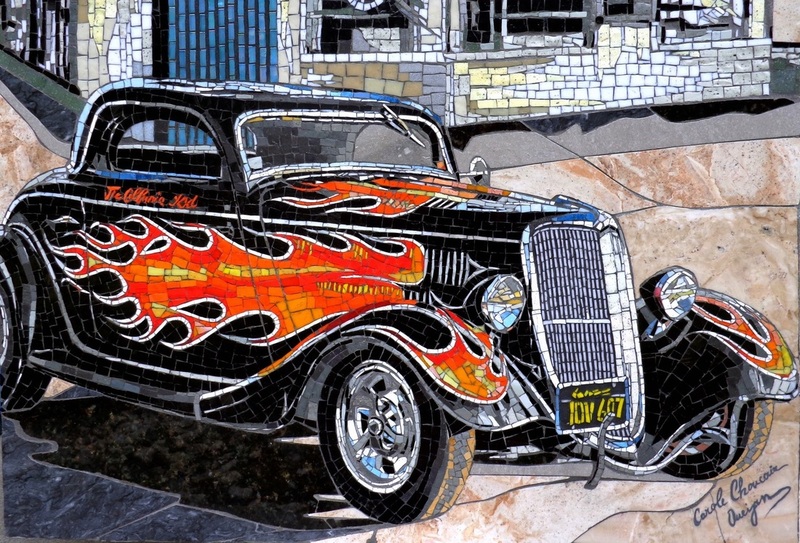 They then became very successful especially after Pete’s famous flaming car from the TV movie “The California Kid”. 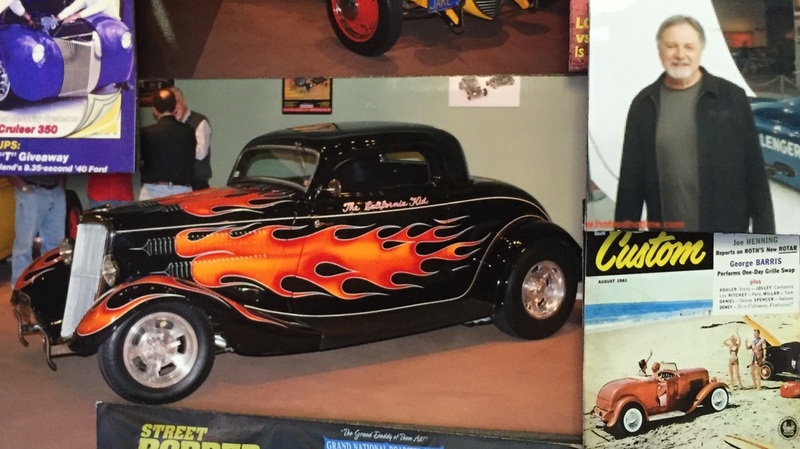 Today the owner of Pete & Jake’s, Jerry Slover, bought the company in 1986 and live in Missouri. 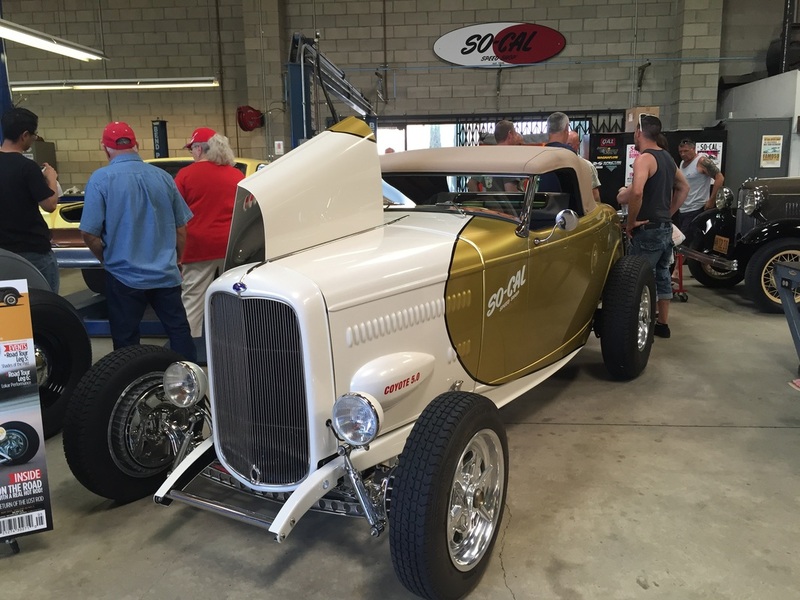 On 6-19-2015 I got the chance to visit So-Cal Speed Shop, the Hot rod legend Pete Chapouris' shop to see his work of art! 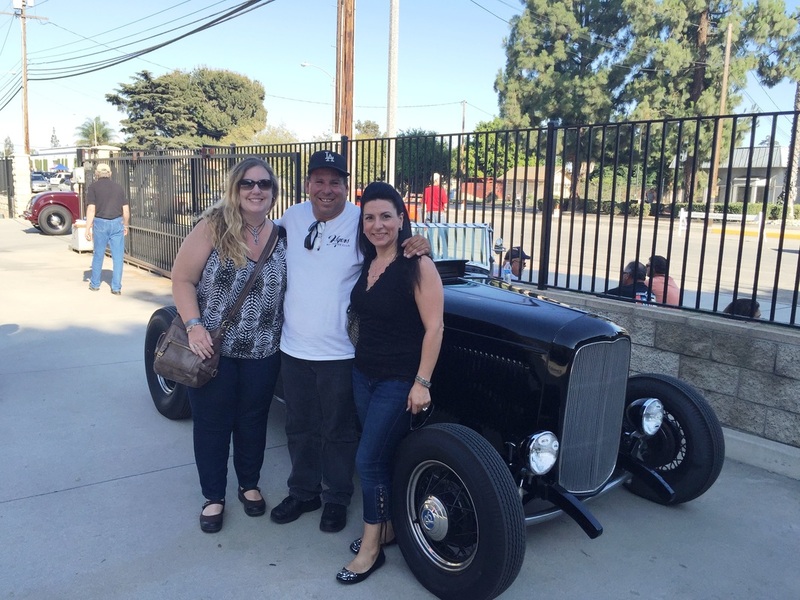 Unfortunately he was recovering from a heart surgery, but his wife Carol was there for their open house. 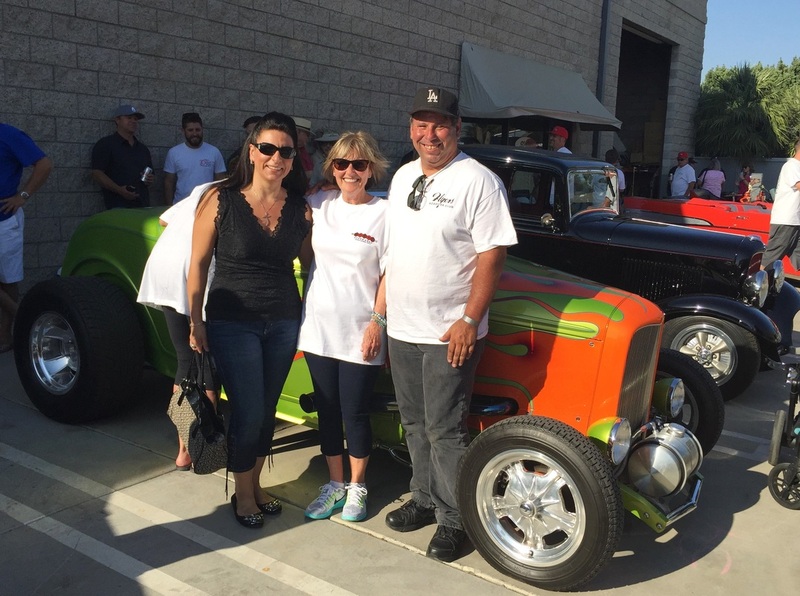 Thanks to Kevin Preciado, a Temple City resident who was the link to meet Carol Chapouris and know about this event!. 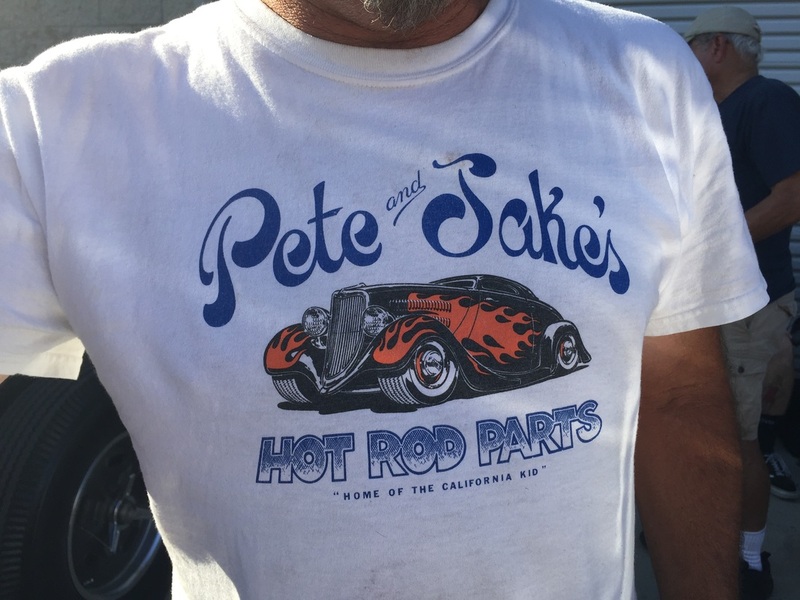 An old shirt of Pete & Jake's.... So excited to see someone wearing it. 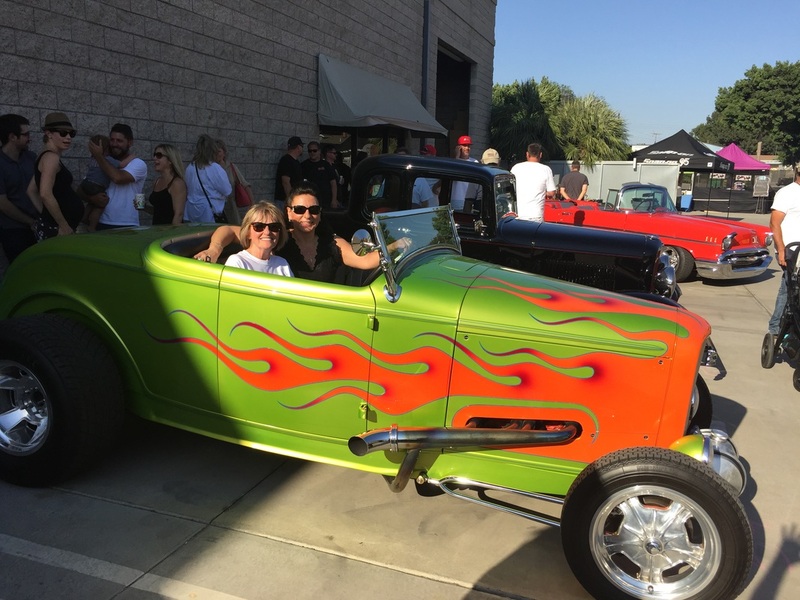 California Kid Car and Pete Chapouris the creator! 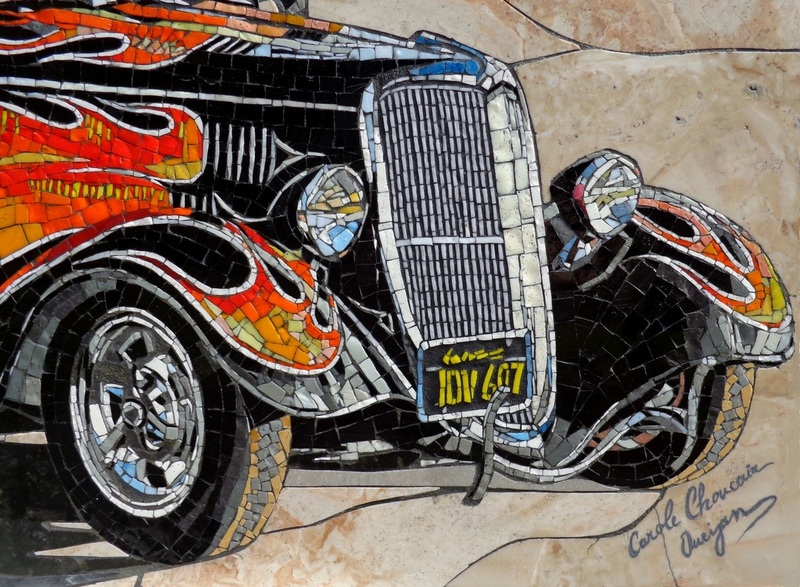 Thank you Kevin for the link to meet Carol Chapouris and explore their shop!